The film’s title is taken from an interchange between Sally Banes, Noel Caroll and Monroe Beardsley on what makes the motions of our bodies “dance”. 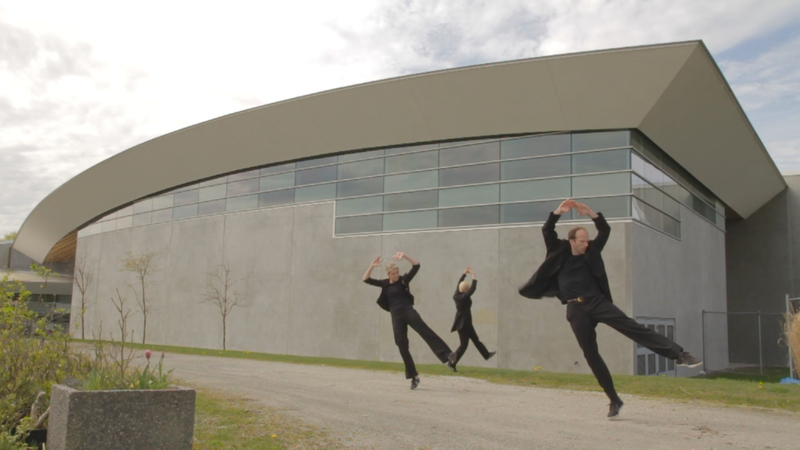 A MOVING is a contemporary dance trio that was performed at the Morris and Helen Belkin Art Gallery in March of 2012; featuring a visual art exhibition, Concrete Poetry, from artist, Michael Morris. A MOVING is an interpretation of the presence of body, gesture and contemporaneity movement within non-traditional enviornments. Through seeing the dance in places we inhabit in the everyday, we make our moving bodies accessible, visceral and readable. We also perceive the design of our enviornments in relation to our bodies in a new context.